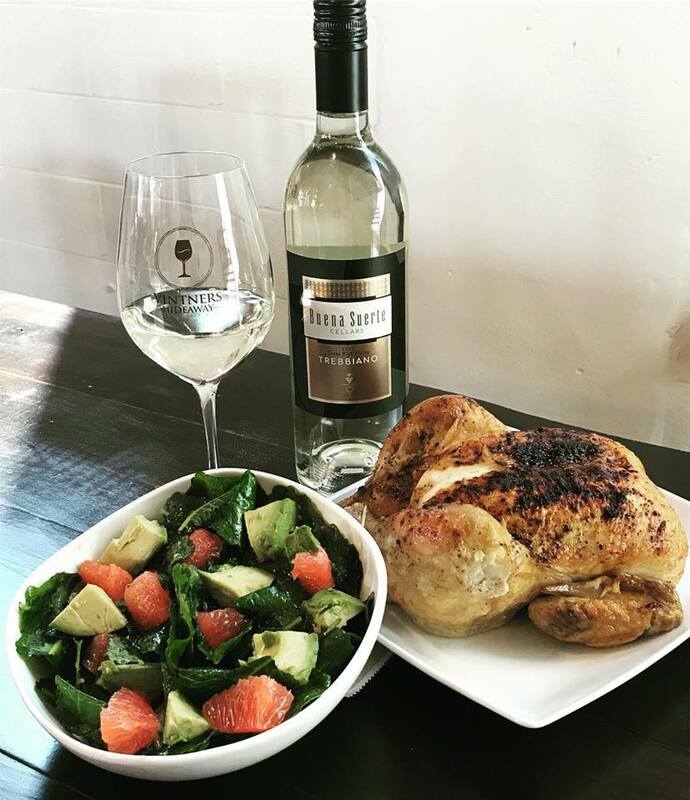 We are so excited to introduce the Wine of the Month for June! 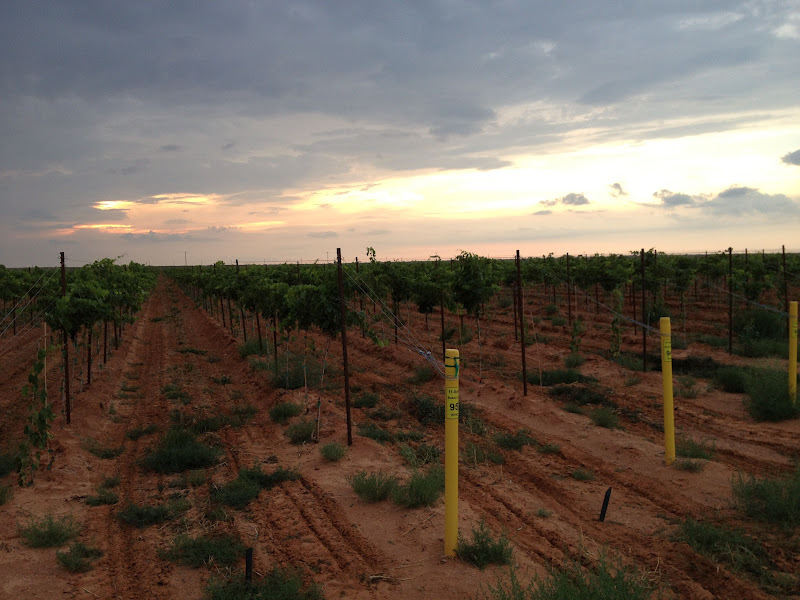 This month we are featuring a Trebbiano from Buena Suerte! This crisp delicious wine is amazing on a hot day. This week we tried chicken salad with a side of pineapple. It was so refreshing and paired so well with the Trebbiano. 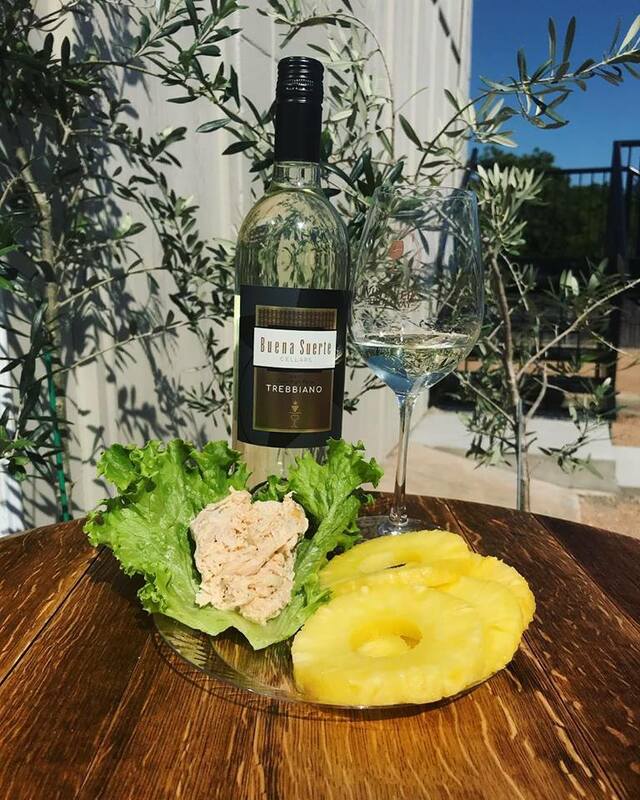 Everyone in the tasting room couldn’t get enough of this combo! The secret is the creamy lemon dill sauce. 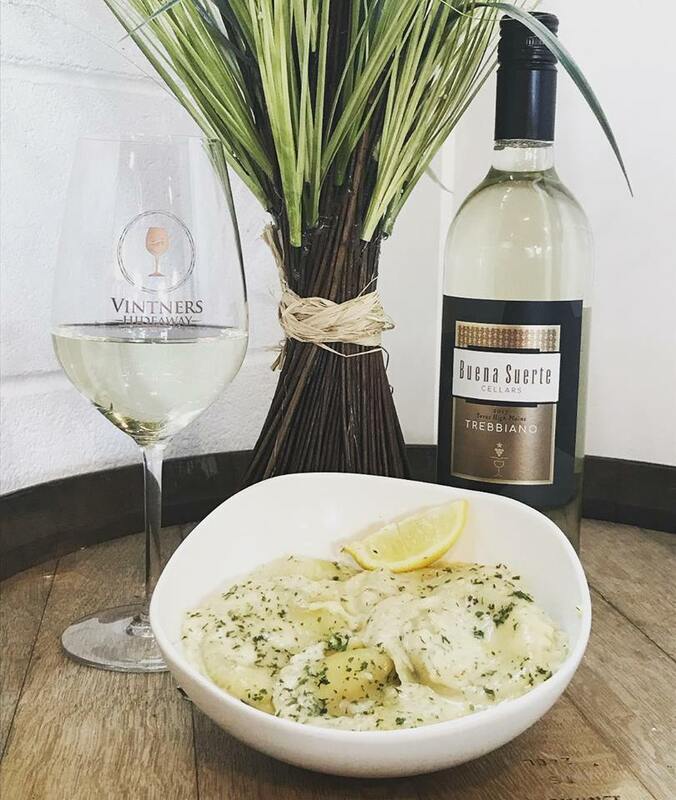 If you want to try this scrumptious pairing, pick up a plate of seafood ravioli from our neighbors at Pasta Bella and buy a glass of Buena Suerte Trebbiano from Vintners Hideaway. You won’t be disappointed! We had another fun pairing with the Buena Suerte Trebbiano! This included a Lemon Pepper seasoned rotisserie chicken and a kale salad. The twist is the combination of grapefruit and fresh avocado in the salad! You won’t believe how wonderful it is until you try it. The recipe for the salad is listed below. Our first of the year. We are thrilled. Rain days mean Daddy’s home and that means I get unanticipated hours to work on manuscripts. Score. 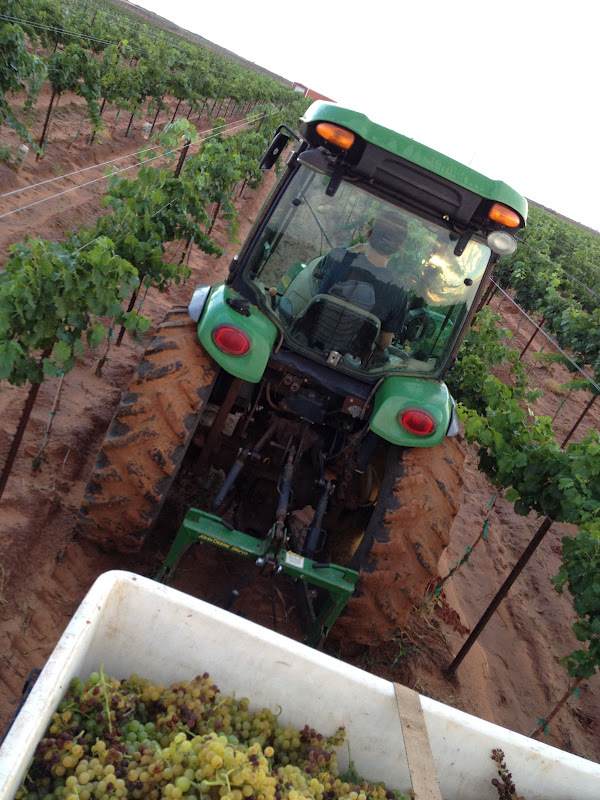 The vineyard rows are getting a haircut. We’re doing a whole lot of snuggling. The grape clusters are showing off. Napping is plentiful. The peanuts are gloriously green. And Sophie was introduced to our evening walks . . . though I’m fairly confident she doesn’t know it yet. After last year’s drought I am just amazed by how happy and green the vegetation is this spring. Baby grapes are popping up all over second leaf vines. 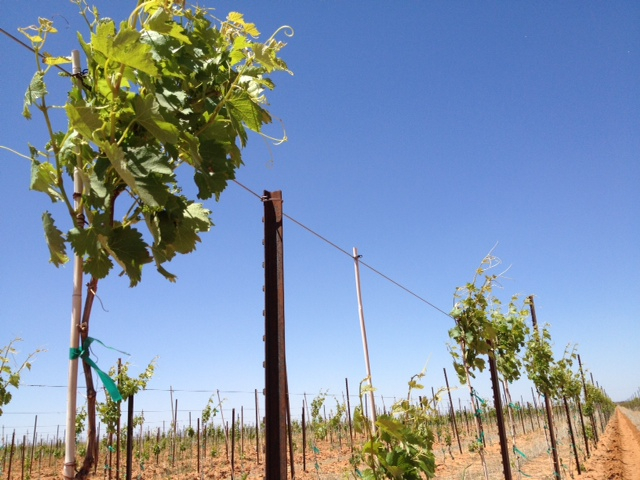 You’ll notice a higher guide wire has been added to the trellis system to accommodate this year’s growth. And the vines aren’t the only ones growing. 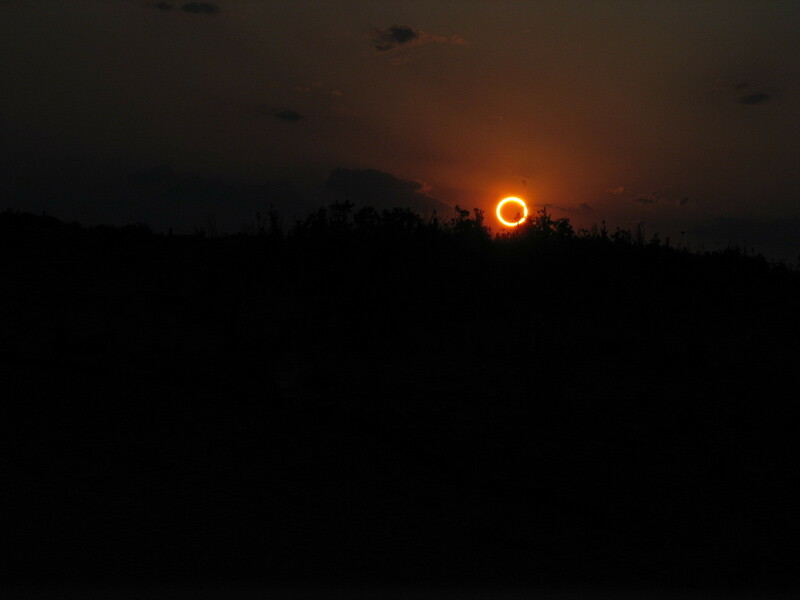 Last night we witnessed a solar eclipse in our backyard. Magical. That’s the only word to describe it. Even I am now sick of talking about the move and new house. Enough already. Back to the reason we’re here: beautiful second leaf. 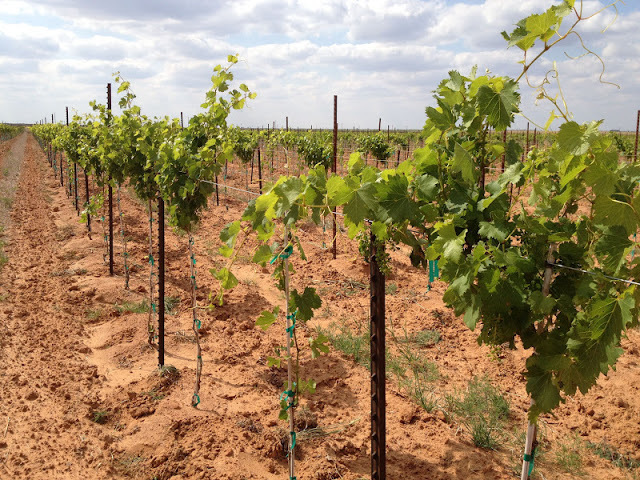 Our newest vines. 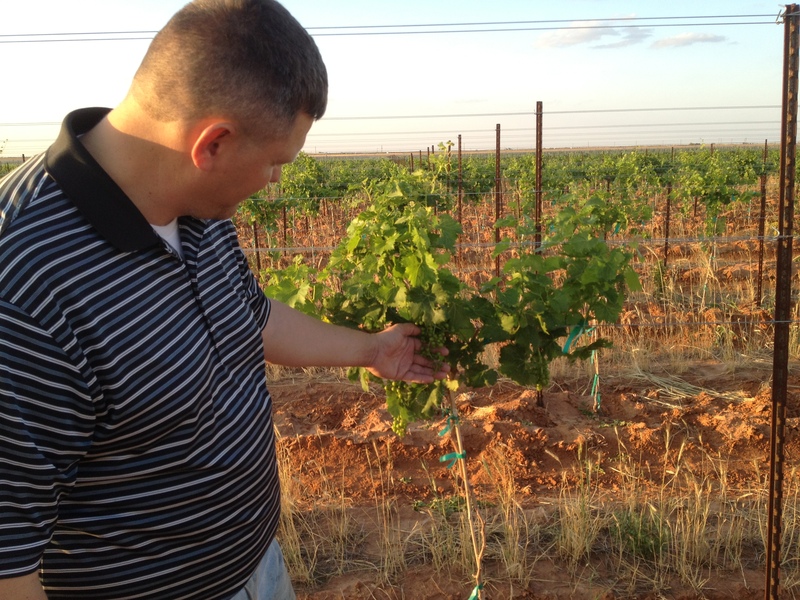 This is a nursery row grown to replace any vines that don’t make it in the future. Second leaf stretching its tendrils.